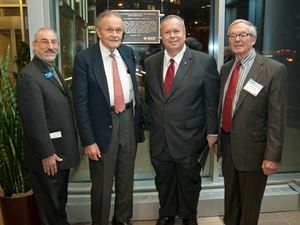 IEEE President Moshe Kam (right) presenting the IEEE Milestone plaque to James Shields (left) - CEO and President, The Charles Draper Laboratory. 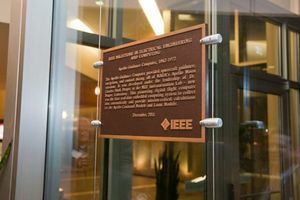 The double-faced plaque was installed at One Hampshire in Kendall Square, Cambridge. 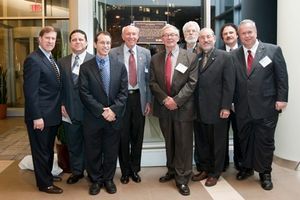 AGC was a true pioneer: a mission-critical real-time, embedded digital computer system built using commercial integrated circuits. AGC and the associated guidance, navigation and control system components made possible the lunar rendezvous mode trajectory used by the Apollo program to put the first human beings on the moon and return them safely to earth. 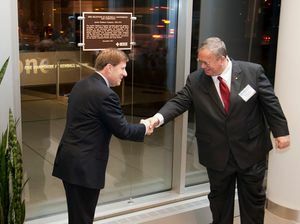 The AGC performed flawlessly on 15 manned flights, including nine flights to the moon and six successful lunar landings. It was used for three manned Skylab missions and navigated the final Apollo spacecraft to a docking with a Russian Soyuz spacecraft in 1975. Astronauts repeatedly worked the AGC, achieving flawless moves and life-critical lunar landings. 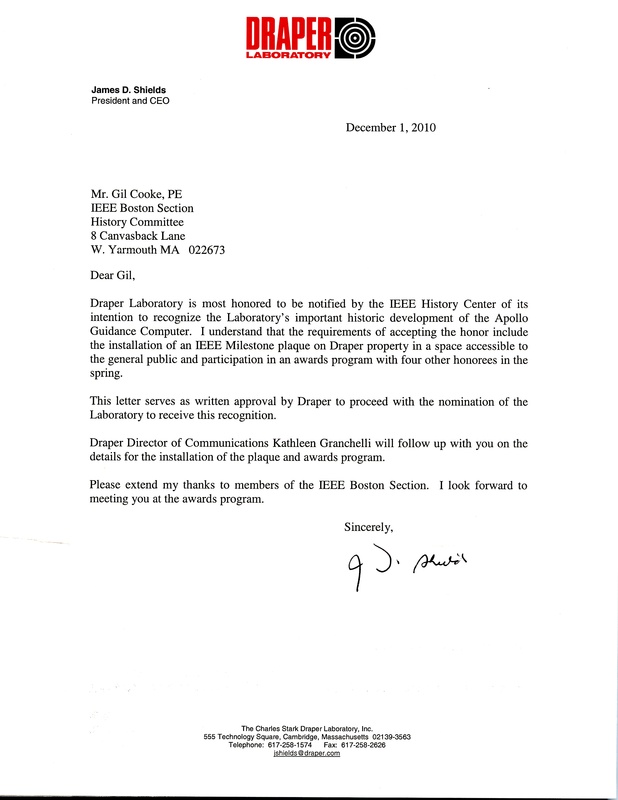 For additional information, see reference 3. This page was last edited on 17 January 2019, at 19:59.